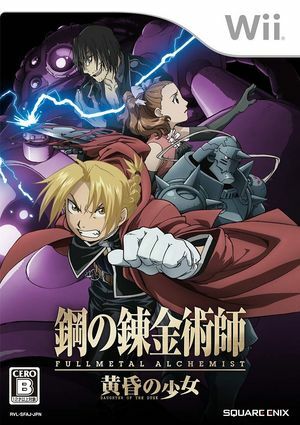 Fullmetal Alchemist: Daughter of the Dusk (Fullmetal Alchemist: Tasogare no Shoujo) is a story about two brothers that find themselves at odds in the wake of a series of bomb attacks and the mysterious disappearance of Prince Claudio. Where conflicting motives intersect, events will take unexpected turns as the story reaches its climactic end. The graph below charts the compatibility with Fullmetal Alchemist: Daughter of the Dusk since Dolphin's 2.0 release, listing revisions only where a compatibility change occurred. This page was last edited on 10 January 2018, at 18:18.